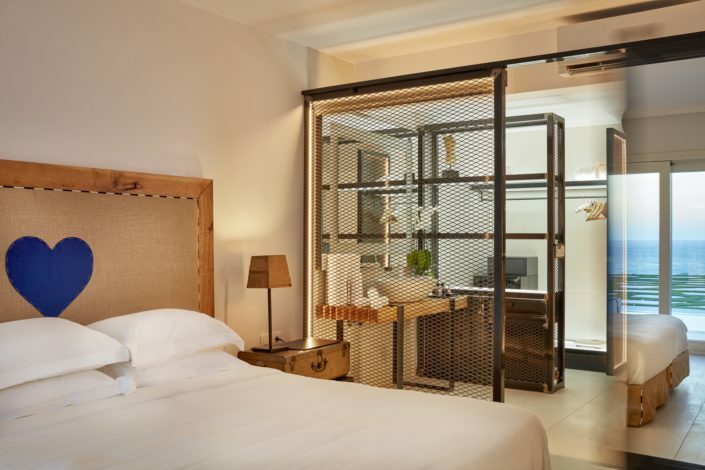 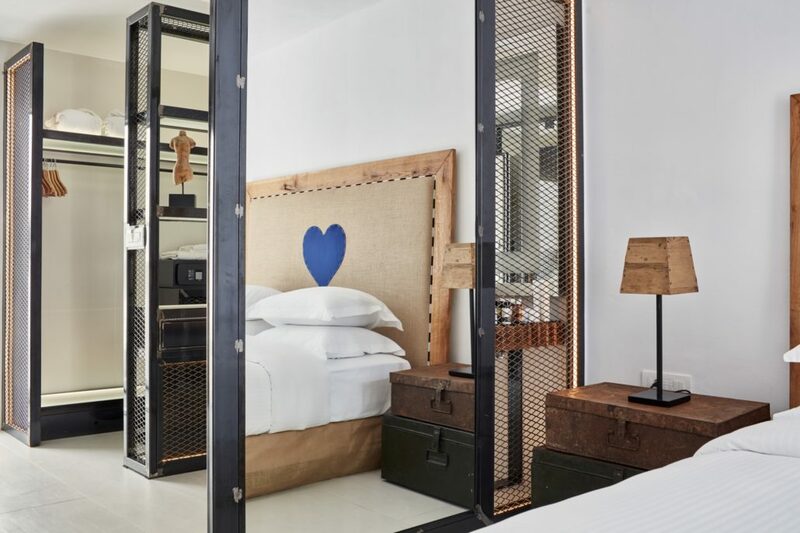 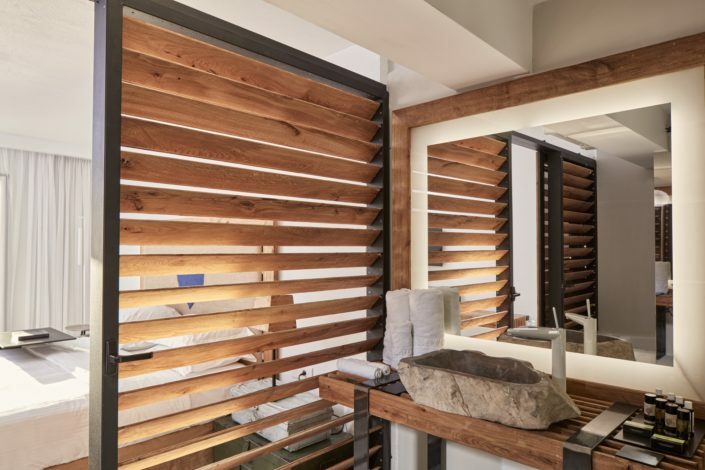 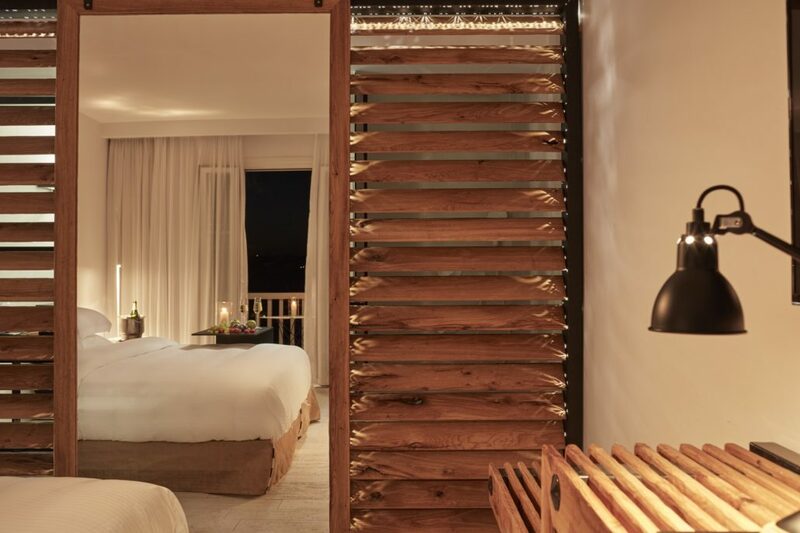 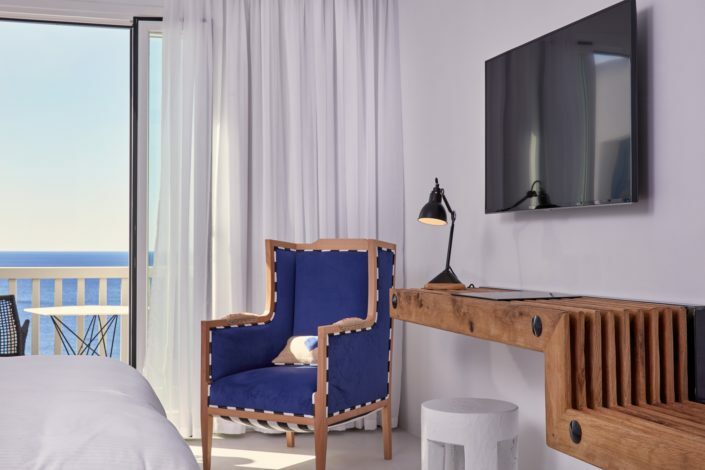 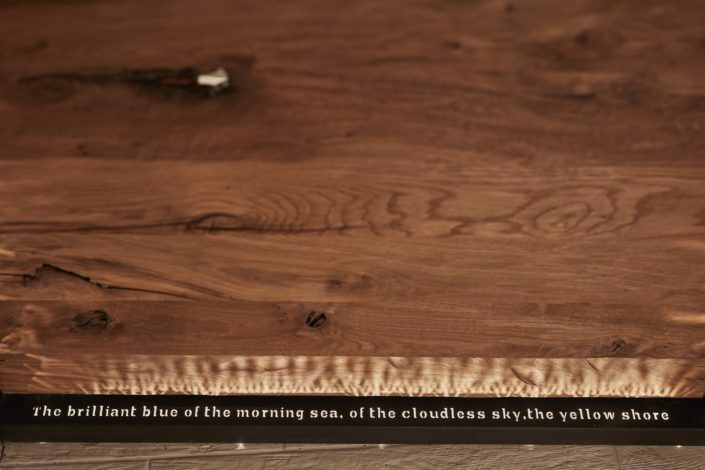 The rustic oak wood office chosen to be placed inside the hotel room adds not only practicality but also natural beauty to the space with its simple design and hidden lighting. 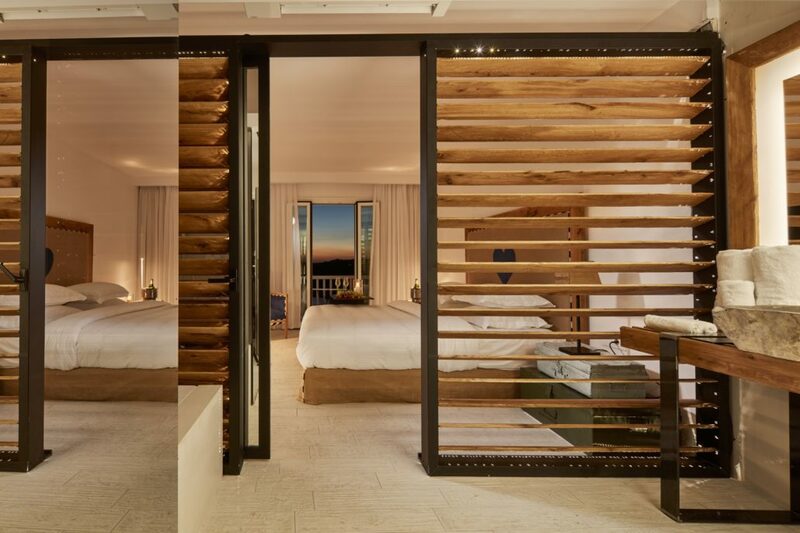 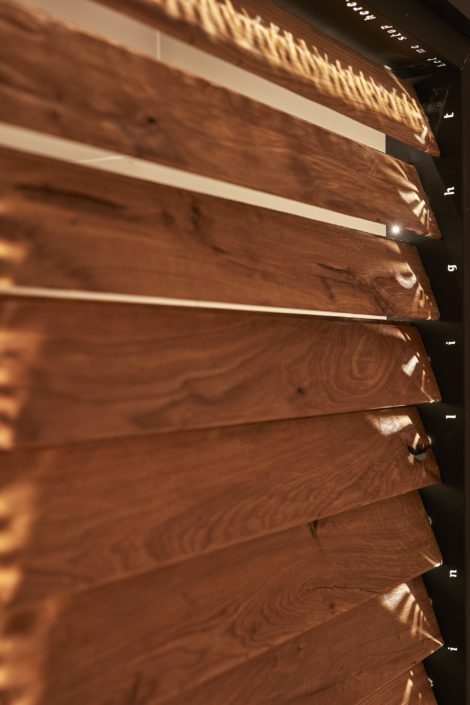 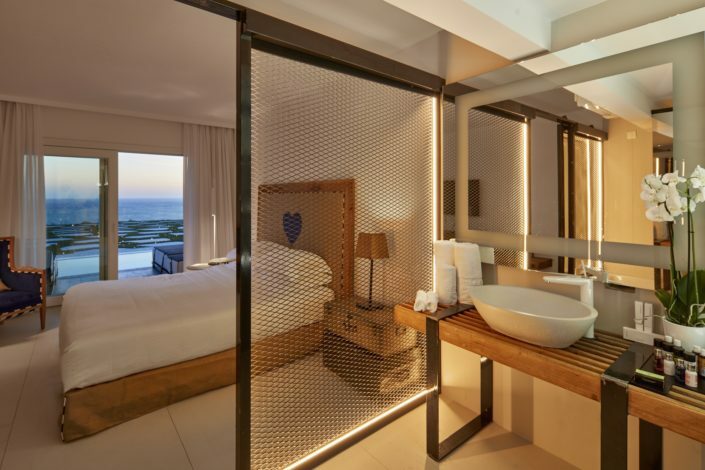 One of the basic elements of the room’s composition is the partitions, which are made of metal in its natural form with #LED lighting and electric rollers to separate the spaces or rustic oak wood and aluminum, which offer warmth and serenity to the visitor. 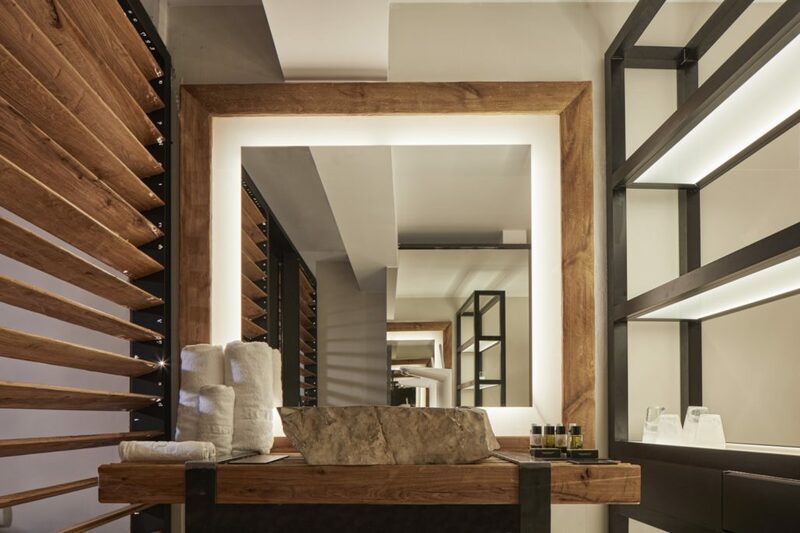 In a room where the protagonist is nature, the rustic oak wood bench with metal legs and stone wash basin dominates the space, which is separated from the rest by wooden blinds, offering privacy. The addition of a glass mirror with Led lighting placed in a wooden frame and a shelf made of aluminum with hidden lighting complement the composition, which in its unity creates a naturally zen feeling to the visitor.